Susan Minarchi, executive director of Family Promise of Southern Chester County pictured left with Chester County Fund for Women and Girls executive director Michelle Legaspi Sánchez. 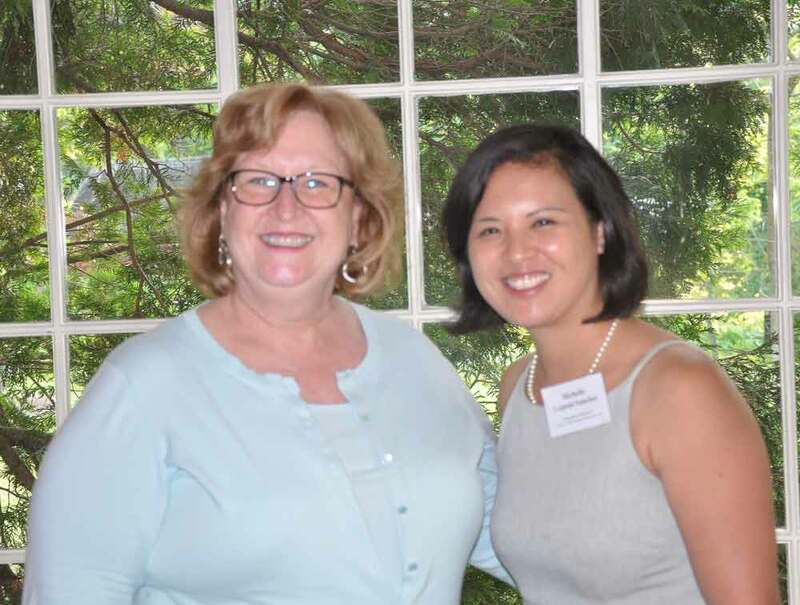 KENNETT SQUARE — Family Promise of Southern Chester County (FPSCC) was recognized and rewarded for its efforts to alleviate family homelessness by the Chester County Fund for Women and Girls (CCFWG). Family Promise was one of 20 nonprofit organizations awarded funding at CCFWG’s Annual Grants Celebration on June 14, 2017. Family Promise of Southern Chester County, a nonprofit organization dedicated to helping families with children experiencing homelessness, will utilize this grant to help low-income families regain their housing and achieve long-term stability. FPSCC has served 25 families, including 58 children and 33 adults since opening in 2015. Chester County Fund for Women and Girls is committed to meeting the core needs of women and girls in Chester County by providing access to resources and opportunities to thrive. CCFWG unites the community through advocacy and philanthropy.